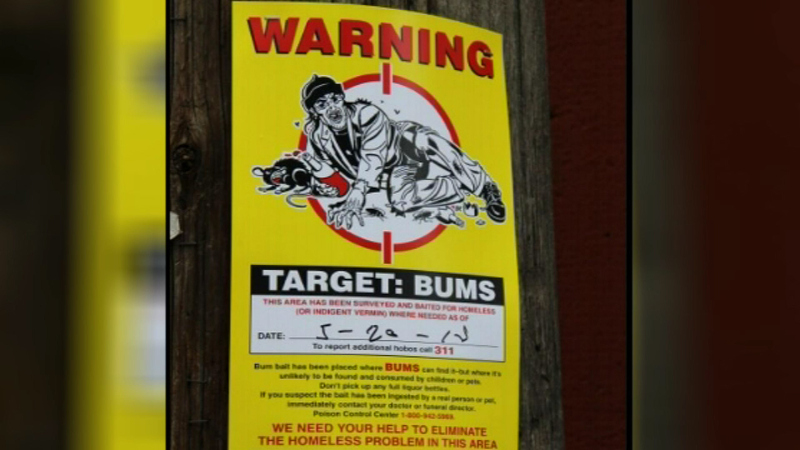 The signs are similar to those put up in alleys targeting rats, but these target what the signs call "bums". CHICAGO (WLS) -- ABC7 viewers alerted us to some signs popping up around town that they find offensive. Now, the Department of Streets and Sanitation is promising to take action. City crews have been told to remove the signs when they see them.